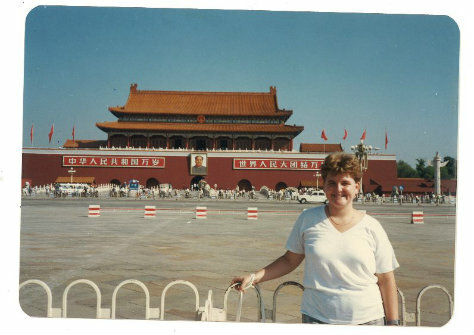 Ann Starbuck (photographed in 1988-89) of Tiananmen Annie. BOTTOM LINE: Tiananmen Annie is a heartfelt memoir about a foreign university student studying in Beijing and her first hand account of the 1989 Tiananmen Square Uprising. Tiananmen Annie is an honest coming-of-age story told by Annie (Ann Starbuck) about her college years in Beijing from 1988-89, and her real life experience working as a translator for CNN during the days leading up to the Tiananmen Square Massacre. The solo show is interwoven with short, heartwarming stories of friends Annie made in China, at times funny and hilarious, at other times bittersweet. 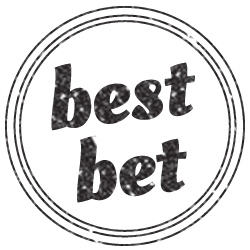 There is Mei Mei, the girl who rescues Annie from a money exchange mob and takes her to visit an aunt who owns a money exchange shop disguised as a T-shirt store. The old aunt is from a bygone era, walking steadfastly with her cane and bound feet (vividly personified by Starbuck), and teaches Annie the lesson "The mountain is the Buddha and the Buddha is the mountain." Annie tells the old aunt about her travels, and she replies, "If you have seen the Chinese mountains and the great Buddha, you have seen the heart of China; hence, you become a true Chinese." In another moment, Annie recounts her enthusiasm for finding part-time work with CNN to earn spending money for traveling. Little does she know this work will become a dangerous adventure. At one point, she is asked to bring someone from Tiananmen Square to the hotel for an interview with reporter Bernard Shaw, and told to get a taxi to go as close to the center of the square as possible, because this person might be very weak. She finds out this man, Joe as she calls him, is on a hunger strike. Her experience with "Joe" is at times illuminating, hilarious, and heart-pounding. Tiananmen Annie is a charming, heartfelt solo show replete with Chinese legends and interwoven with Starbuck's personal accounts of people and events, told almost like a mythical story. Direction is well done by Richard Embardo. Starbuck will leave you laughing, smiling and tearing up, feeling like you have just been on this 1989 journey with Annie, who wears a Chinese heart locket close to her heart.